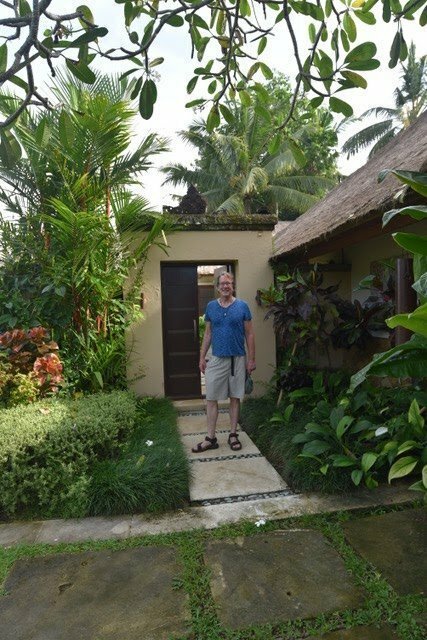 Our time here in Bali is lovely, especially after recuperating from the actual travel. A deeply relaxing time with our friends Joel & Nirgrantha. Luscious meals & conversation; numerous deep naps; several massages plus an intensely charged thunderstorm to clear our energies. Nothing like the usual holiday time in the States, which is why we are here. I hope & trust you are enjoying your own versions! We wish you JOY in your own climes! We celebrate with you. 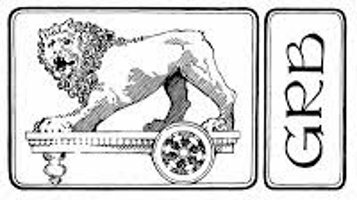 As usual, I am keeping a journal, rather more long & detailed than you might think my sharing to be a gift… ‘making far too many photos as well. I’ve not had much time to edit either, but I’ll add a bit of color here & you can catch more on my blog later. 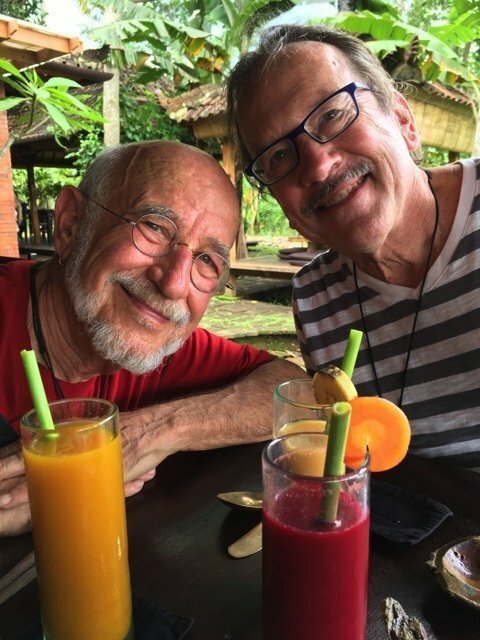 Joel caught our tropical spirit in holiday colors as smoothies at lunch several days ago. 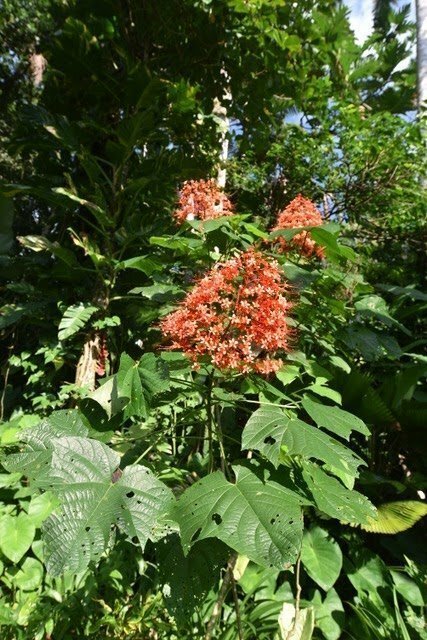 Note the Papaya stem straws! 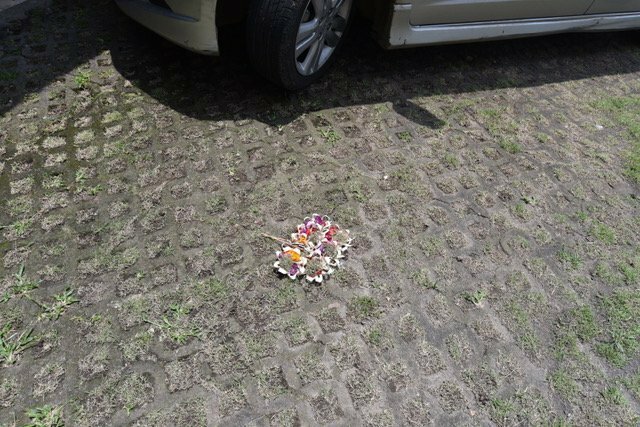 It was something like 30 hours of travel from our Island to this one… a 13 hour flight from Seattle to Taipei with a 4 hour layover before the 5 hour flight to Denpasar, Bali, where Joel met us to make the hour+ drive to the VillasVajra, their home. The left of the front two villas is where they live, two small pavilions inside a courtyard with a pool. The right is where we stayed on our last visit. 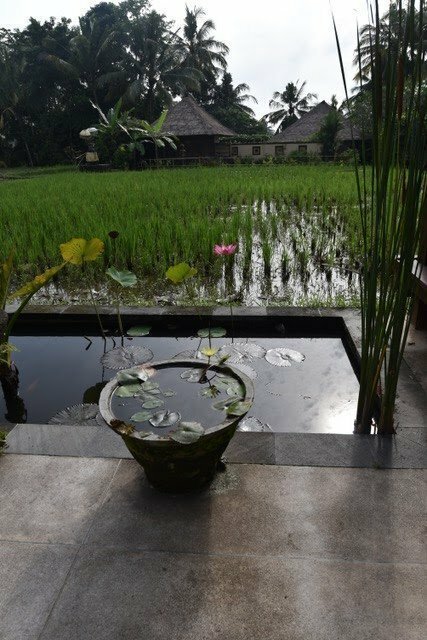 Across the rice paddy is the larger villa which is usually rented, but this time we are being hosted there, using only one of the several suites. 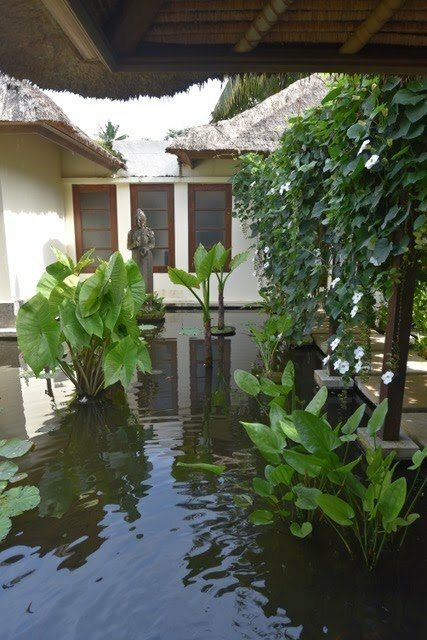 Inside the gate is a water garden with stepping stones over its shallows planted with water lilies, cannas… papyrus. Fish dart beneath floating fallen blossoms from vines on trellises above. 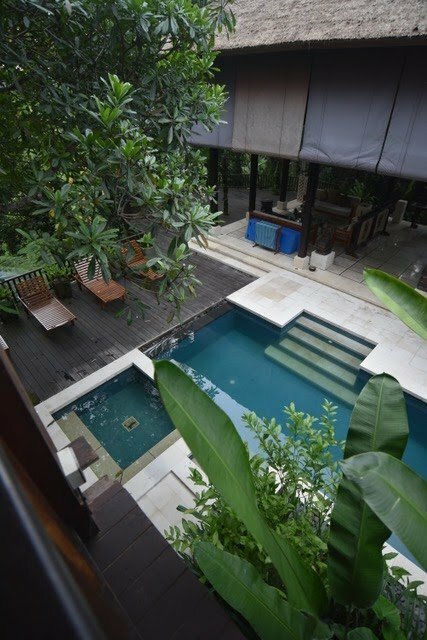 The water then flows between the stepping stones to our room’s door over a waterfall into the lovely swimming pool below. 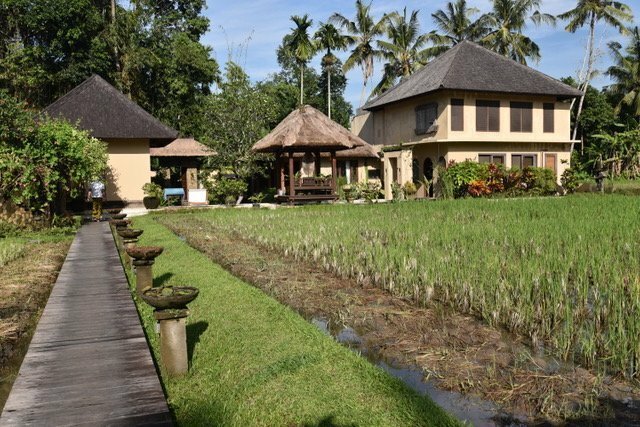 The two story thatch-roofed open living/dining area & the kitchen are nearby. 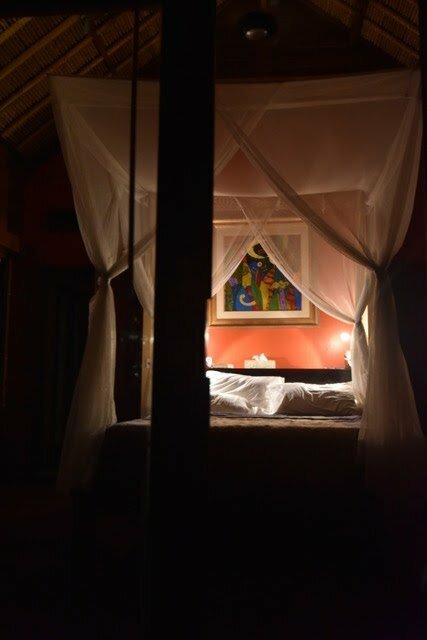 We love the bed with mosquito canopy, allowing us to leave the sliding doors open to the night air & the raucous frog song. One of which bellows in Morse code! Fireflies collect on its top mimicking stars! 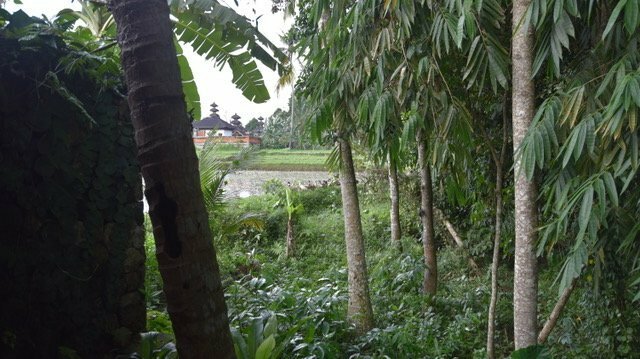 A dalliance of ducks live close to our room, useful to reduce pests in the paddies for the farmers. We hear them chuggleling when getting up in the night… there is a temple next over. 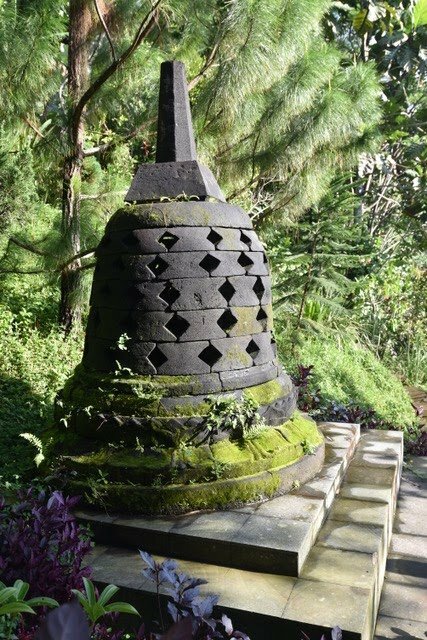 Bali practices an animistic Hinduism. We often hear drums & gamelan music along with the quacking. On sidewalks outside businesses or even in driveways! 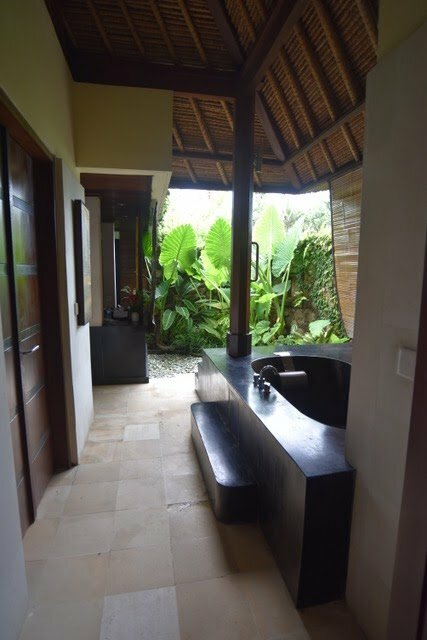 The rainy season has begun a bit early this year… a thunder storm accompanied our massages to electric effect… delightful! But the next day we raced deep-darkening clouds home. 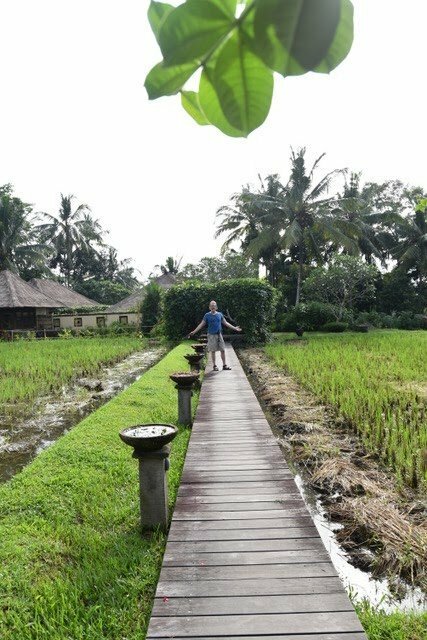 Just as we were hurrying across the wooden walkway between the rice paddies from the first villa to ours the drops began to splash the paddy waters, drenching the last few steps lit brilliantly by very close lightning. Safely inside, we listened to the most literally stunning storm I’ve ever experienced. Each bolt was followed by raging, crashing rolls of sound like being inside a pipe organ gone berserk! The gushing of rain matched the incredible intensity, giving no break in the drama as we waited the promise of still more madness with each slash of visual brilliance. I have always loved thunderstorms & have missed them, being a rarity in the Northwest’s renowned but quietly soggy version of rain. This was a stupendously satisfying dose! Of course the tropics gift my eyes with exotic plants in shapes & colors to inspire notions I might use in the studio. 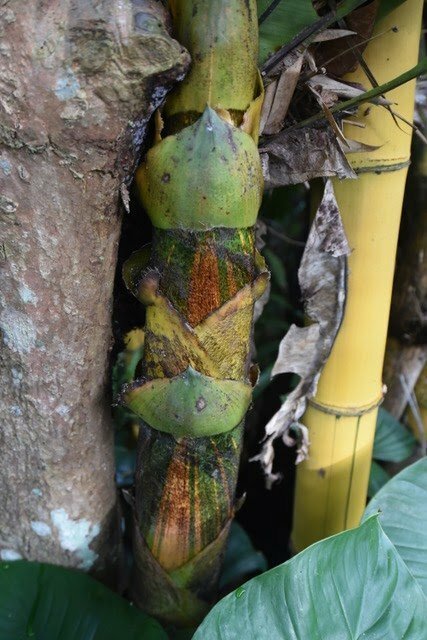 This bamboo shoot is just at the entrance from where the car is parked.